Mint and pennyroyal are part of ‘Lamiaceae’ family, both of which can be cultivated all over the world. They can be found in northern Iran and suburbs of Tehran, both in the wild and greenhouses. A Mint-Pennyroyal mixture can help stop hiccups, prevent seizures, sooth the nerves, treat diarrhea and inflammatory bowel disease, and it is a rich source of vitamin A and B. Mint-Pennyroyal herbal tea can help regulate bowel functions, treat stomach ache and anorexia, and it is very good for liver disorders. This tonic herbal tea is believed to be able to treat headaches, fever, nausea, and digestive disorders, and can decrease body fat by increase the metabolism. 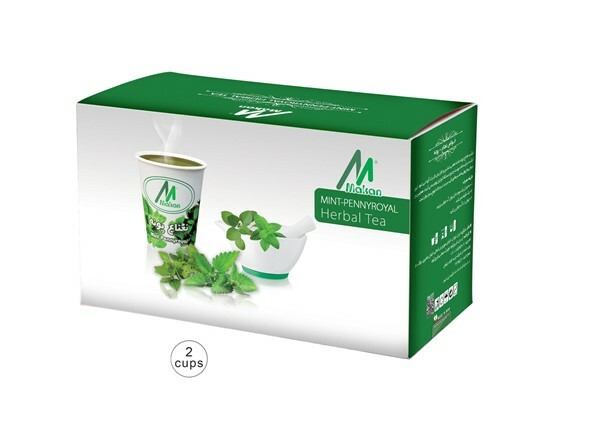 A new genius idea is to fix Mint-Pennyroyal pods in the bottom of paper cups, making it possible to prepare a delicious and healthy herbal tea in just a minute. These environment-friendly flavored tea cups are recyclable, and can save up time and energy.